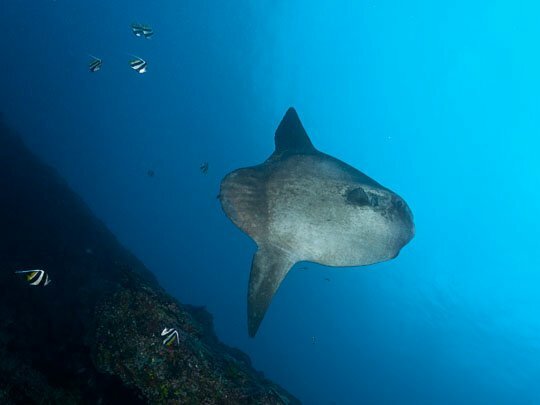 To give yourself the best possible chance of sighting the sunfish in Bali, we strongly recommend that you use our local knowledge to help plan your Bali Sunfish (Mola Mola) diving adventure. Whilst the Sunfish are here throughout the season, sightings do depend on many things such as the dive site, the number of divers and boats around, the weather, time of day, time of the month. Of course there are more variables to consider but we are not going to give all of our secrets away! Ready to go diving with Mola Mola? Get in touch with us today! 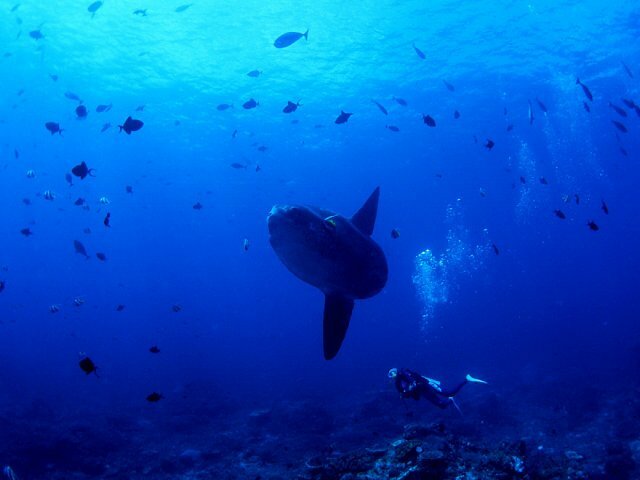 If you choose to dive with Blue Season Bali to see the Sunfish then you get the best diving service in Bali along with the best chance of having an encounter with the Mola Mola to remember. There is a really good chance of seeing Sunfish at any time during Mid July – October, although there is also a chance of seeing them in early July and November. Do not be distracted by moon cycles or tides as there are so many other factors involved. With the Mola Mola season only months away, we suggest that you have a look at your schedule and contact us early to book your place on the trips. Equipment rental is available at no extra charge for those who do not have their own dive gear, Nitrox air fills are available at IDR 65.000 per fill. Lunch is provided courtesy of our local warungs who work exclusively for Blue Season Bali. Choose between the delicious sandwiches and the traditional dishes of Nasi Goreng and Mie Goreng. Vegetarians are also catered for. 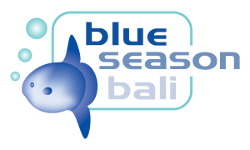 When diving with Blue Season Bali you only need to bring your certification cards and logbooks as well as items such items as sunglasses, sunscreen, swimsuit and a camera. Blue Season Bali has digital underwater cameras available for rent at IDR 600.000 / day. This includes a FREE SD card for you to keep. All of our Bali Sunfish trips are led and guided by our experienced team of PADI Divemasters and Instructors. We can’t wait to show you what Bali Diving has to offer! We keep our diving ratio’s at 4 guests to one guide – so that you get the best, safest experience here in Bali! At least 30 logged dives. Minimum Advanced Open Water diver certification. Experience in deep and drift diving. Dived within the last 6 months. For divers who do not have the necessary experience, we hold the right to refuse them entry to this programme in the interests of safety, or we may require them to undergo a day of diving at a different location in order to check them out first. Alternatively why not ask about our Advanced Open Water Certification? Please also note that Manta Point can experience swell – small children and those sensitive to motion sickness may experience seasickness at this site. Due to surface conditions, it is not always possible to visit Manta Point. Should the conditions be unsafe, an alternative site will be chosen on the day. No refunds will be given for trips that do not include Manta Point. What's next? Check out the Bali Sunfish Day Trips!